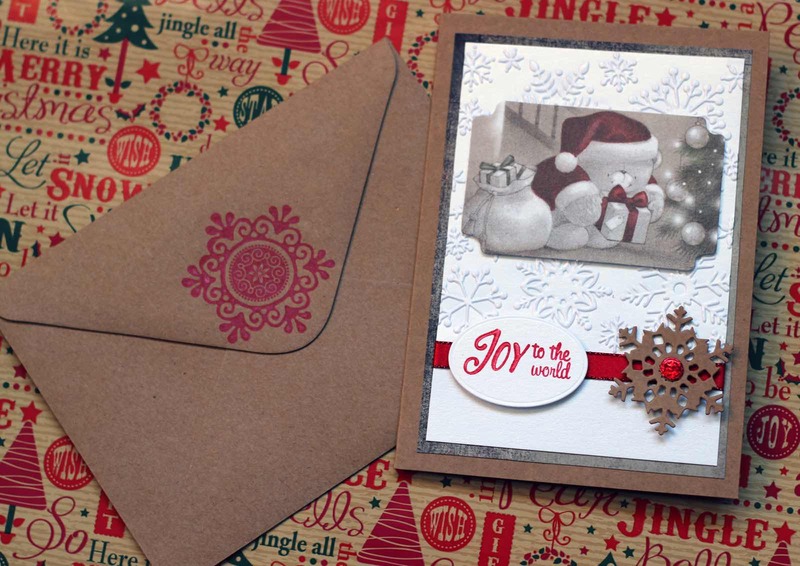 Here's a little peek at a few of the Christmas Card designs I came up with this year. Everything I used to make my cards was using stash I already had or freebies I had gotten with magazines. I was determined NOT to buy anything because God knows I had enough in my stash without buying anymore. 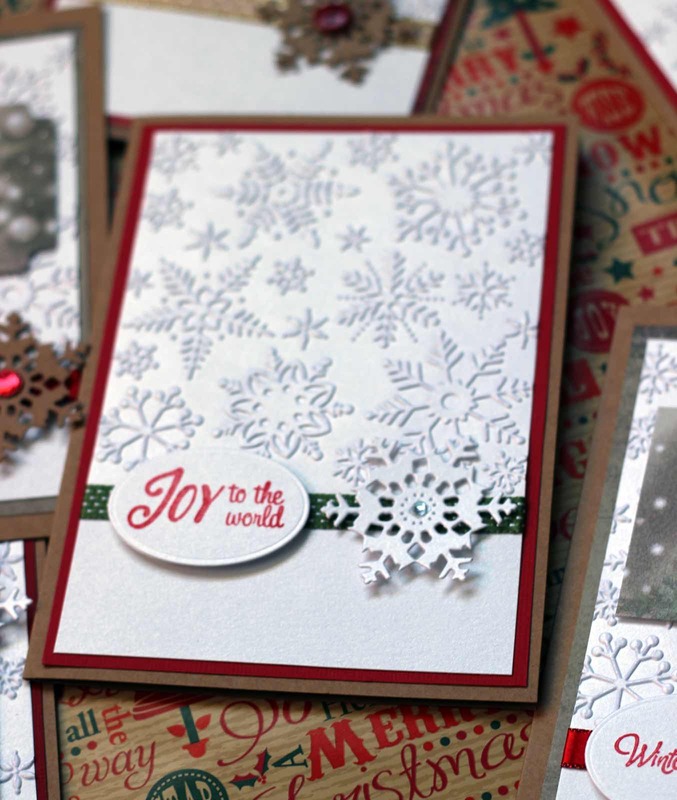 I wanted to keep them simple so i used a kraft card base and the same basic design for all of them. 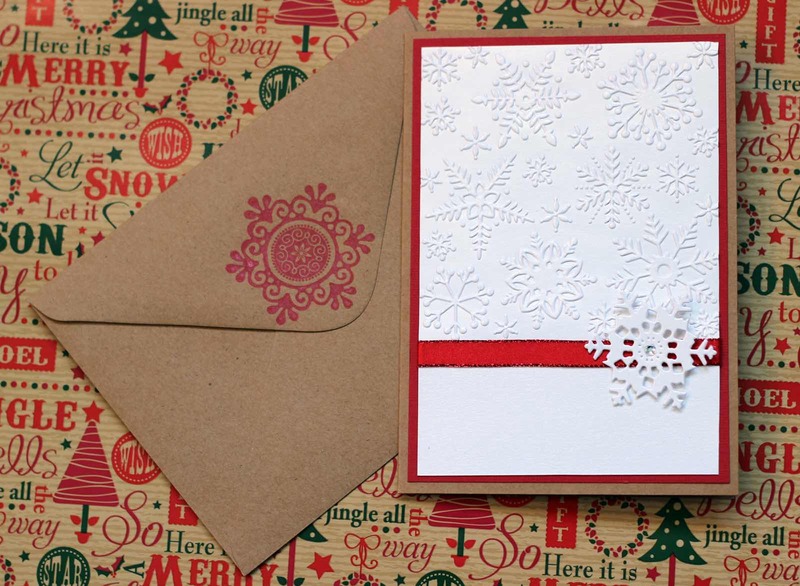 I started by embossing some pearlescent white card with snowflakes, added a ribbon and then matted and layered that onto some coloured card. 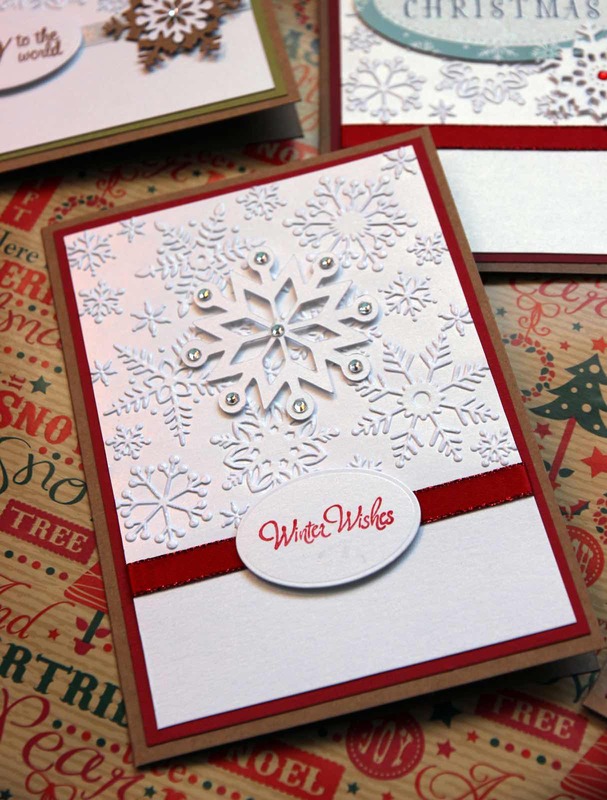 Using that as my base I then made a few different designs by adding die cut snowflakes (freebie from a magazine) and other various things I had in my stash. 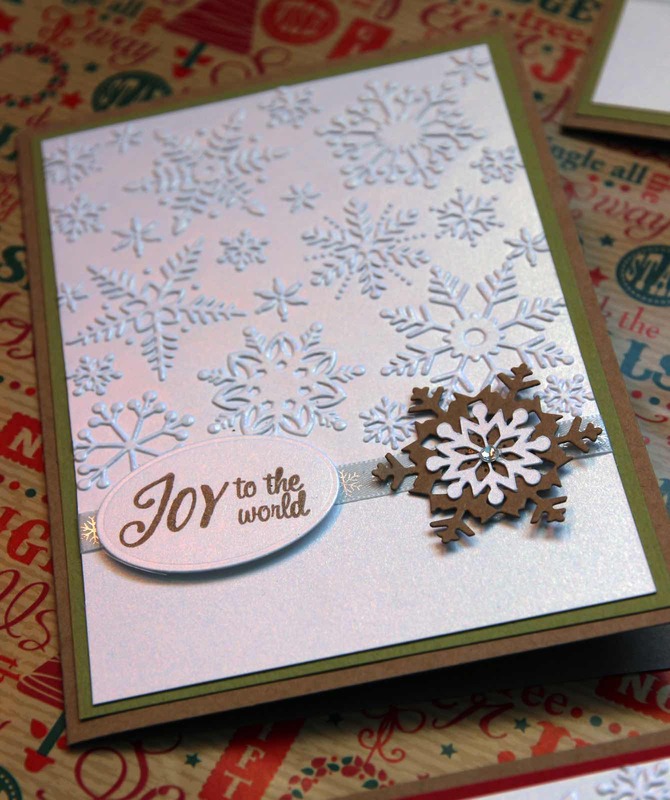 I loved how they turned out and thought the combo of the kraft card and the pearlescent white card worked really well. I also decided to decorate the envelopes using, you guessed it, a freebie stamp from a magazine. 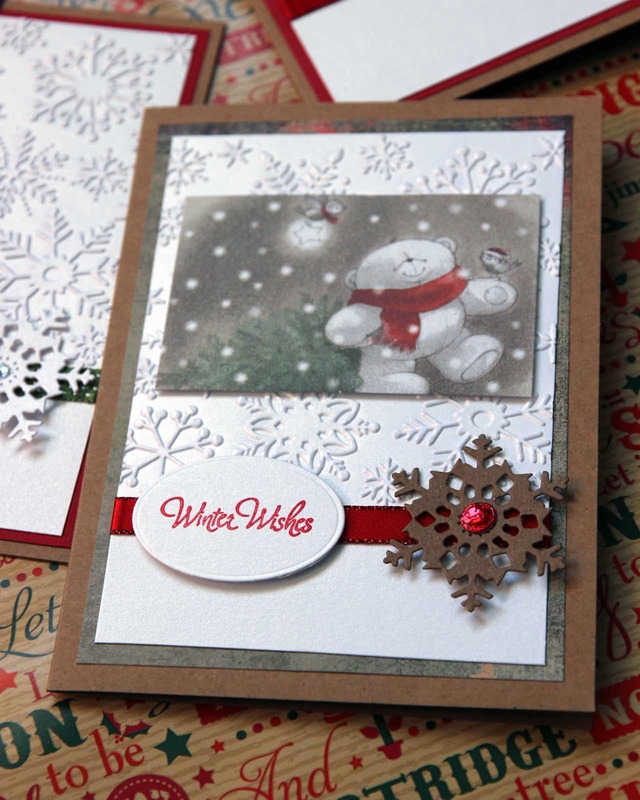 Let me know what you think in the comments and let me know if you made any Christmas Cards.